Now possible to disable voicemail and change the delay! Is the app now $10? Can you sign in to your MJ account? Does the email voice message still work? 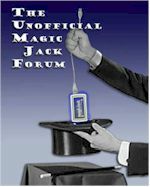 Call forwarding is back on "my.magicjack.com"
Walmart No Longer Stocks magicJack ?? ?